I love finding myself getting lost. You don’t even have to tell me to. Especially when I get lost in local history. The 1852 tavern illustration above is from a map at my local grocery store. It’s quite detailed, from the hitching posts right down to the horse dung in the dirt road. This is the intersection just down the road from me. There’s a modern country restaurant there now, but in my mind as I drive past everyday, this is the scene I imagine. I’ve yet to ascertain the year it was built, but I’ve noted changes on old maps of different years. By 1899, it was a hotel. By mid 20th Century, the restaurant it is now. I wish I could invent a time machine just to drop in for a pint or two of ale and hear the locals talk. Not having smarts enough to build a time machine, I could only ask my farming neighbors for permission to metal detect their field to the left of the tavern. I now have permission from the restaurant owners to search the right of it, but their hay field is too high and thick. Upon it’s harvest, hopefully there will be more of this story. The study of time requires time and patience. My history discoveries must rotate around crop rotation and October inactivity could find me in these fields again. If you look again at the old tavern scene, it was on the left, just across the road from the house, where I found my first skeleton key. What a neat piece, such character. Solid brass with a flat shank, it’s easily as old as the scene on the 1852 map. 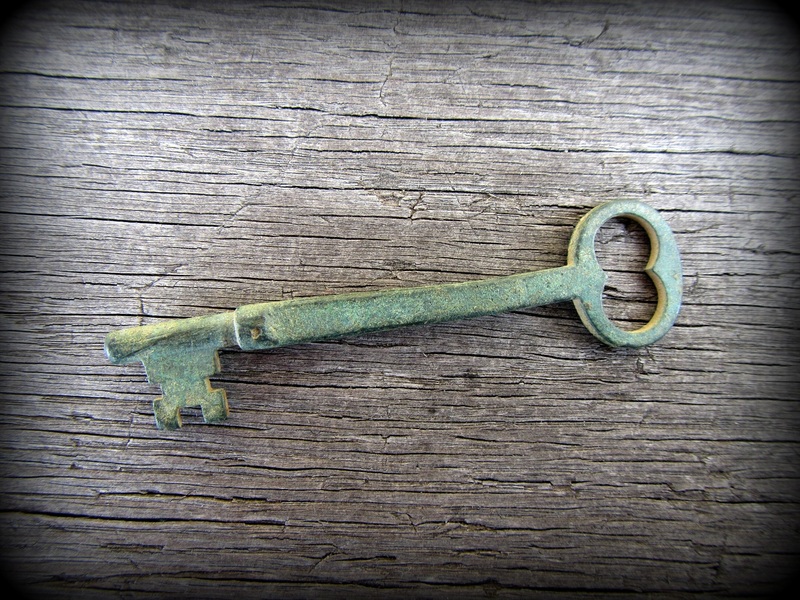 Finding this key unlocked my imagination. Was this lost by a farmer or laborer taking a shortcut home across the field after tipping back a few ales one night some 150 years ago? Reaching into his pocket for tobacco, did he drop this as he pulled out a plug to chew? Was he then unable to discreetly sneak into his house without waking his wife? Maybe this wasn’t the first time, and he defeatedly slouched straight for the doghouse to sleep. In those days door locks weren’t very complicated. 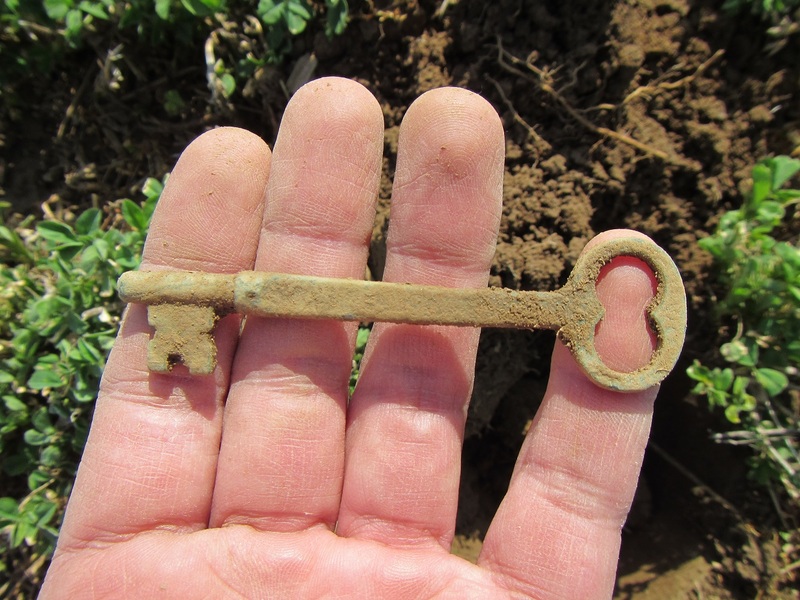 What really surprised me was finding this 3-1/2″ key fits every old door lock in my house. Can’t say for sure the person lived here; these old locks were common and this key likely fits the locks in other old farmhouses in the area. It could be from the farmhouse I live in, but there’s no proof positive. Not just an old local artifact with a beautiful green patina, I now have a functional spare key. 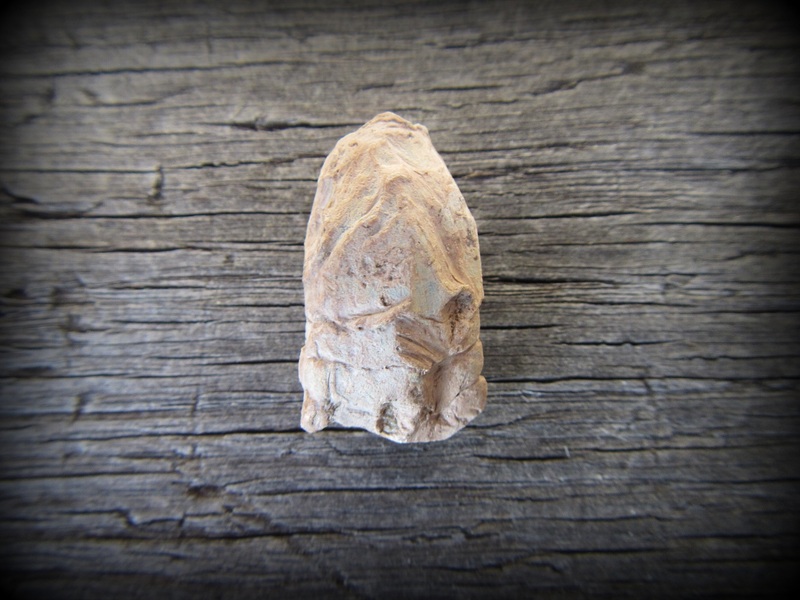 Also interesting is the distinct warp to the shank. Whomever used this key had a very strong hand. It appears that he had a habit of pulling to the left before it was completely removed from the lock. 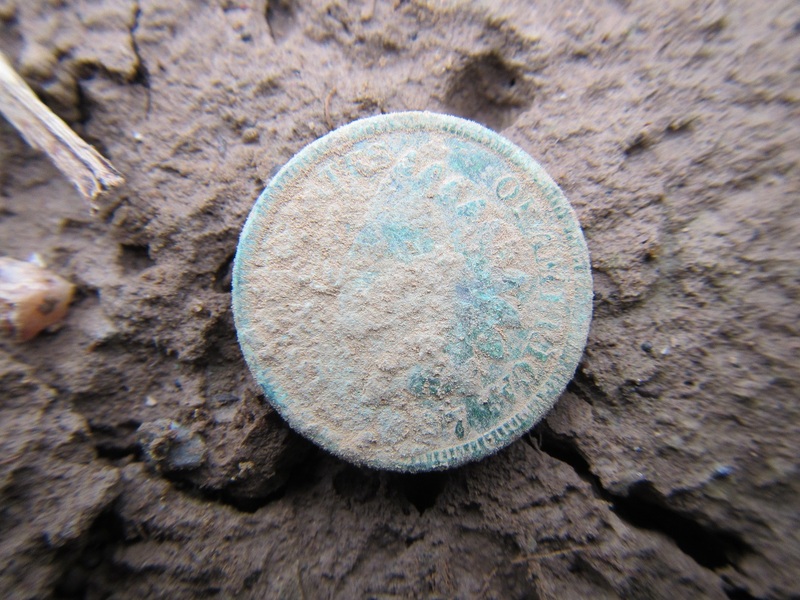 Not far from the deeply buried key was this 1897 Indian Head penny laying right on the surface. I was glad to have my camera along to photograph it just as it sat in the furrows amongst the newly thawed alfalfa. I saw it before I even swung my detector coil over it. If it was a snake, it could’ve bit me. That old green copper patina really caught my eye. Not sure how long it sat there on the surface as this field is ‘no till’ farmed. Dating 1897, I imagine this relates to the 1890’s hotel after the tavern. There’s nothing like researching old maps and then finding historic souvenirs. Sometimes, after the 95% of modern trash finds, you feel you’re literally gifted with something that didn’t require much work other than having an eye for it. In these modern days, most of us don’t take the time to meet our neighbors. I was guilty of that until recently, when having found all there was in my yard, my wanderlust to discover left me no other choice but to seek permission to search the land around me. I had watched the fields being harvested for years and often wondered how the feed corn and alfalfa and rye were marketed. Turns out these aren’t marketed. 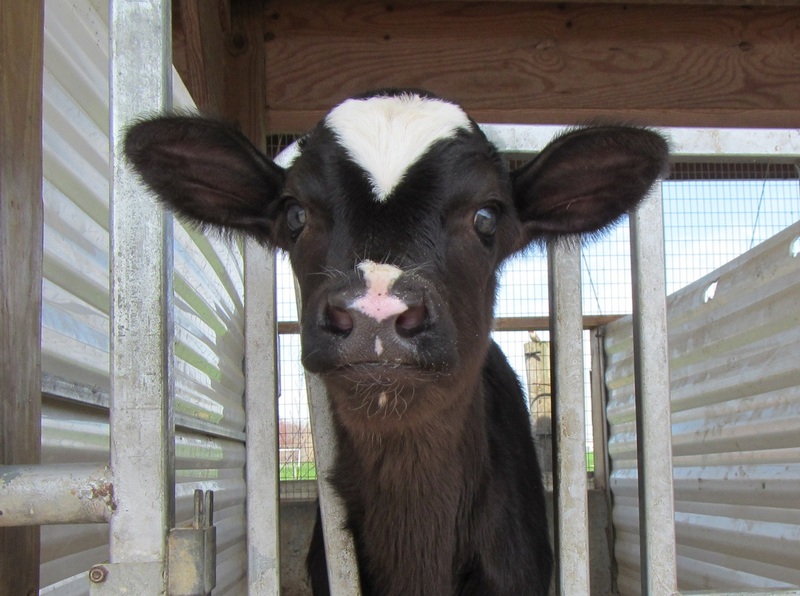 The hundreds of acres around me are farmed to feed local dairy cows. These dairy farmers are very hospitable, generous, hard working, and not surprisingly, they are proud of their history and curious about the history I discover. I couldn’t ask for better neighbors. 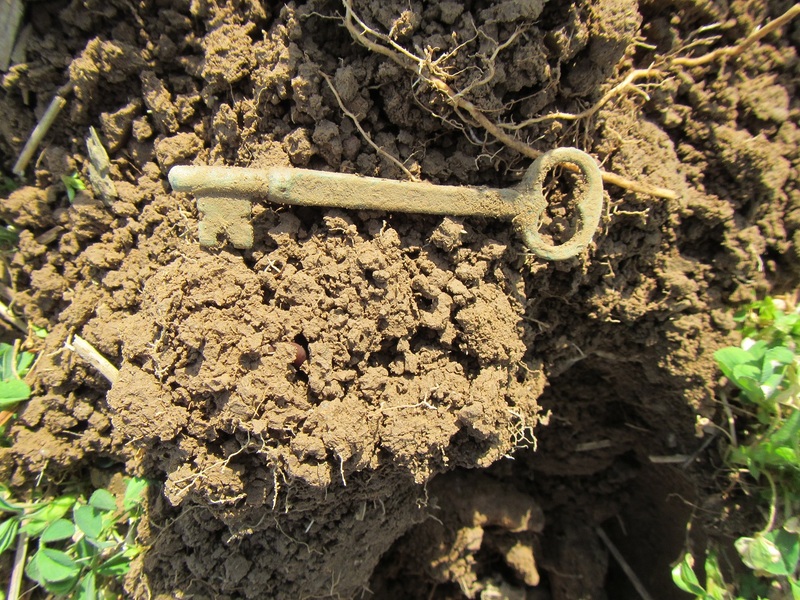 I’ve learned much about farming and come Fall and Winter into Spring, when the crop cycle is inactive, I’m allowed to metal detect their fields, searching the ground’s history, treating it as a gentleman as I go. One fascinating thing I never would have suspected is that their main piece of equipment for harvesting actually has a metal detector built in. It detects the crops entering the equipment. Any metal will stop the process until it’s located and removed. As well as friendship, I sense an almost symbiotic relationship, as so far I have removed literally some 50 pounds of metal from their fields. Every metal object, whether trash or artifact, (mostly all trash) I carry out and am glad for the opportunity to be out there doing so. I must appear humorous at times, strolling back towards my house with rods, pipes, and a length of old chain tailing out of my back pocket. And, when not finding metal trash, which is most of the time, what treasures I do find, I am also happy to share. 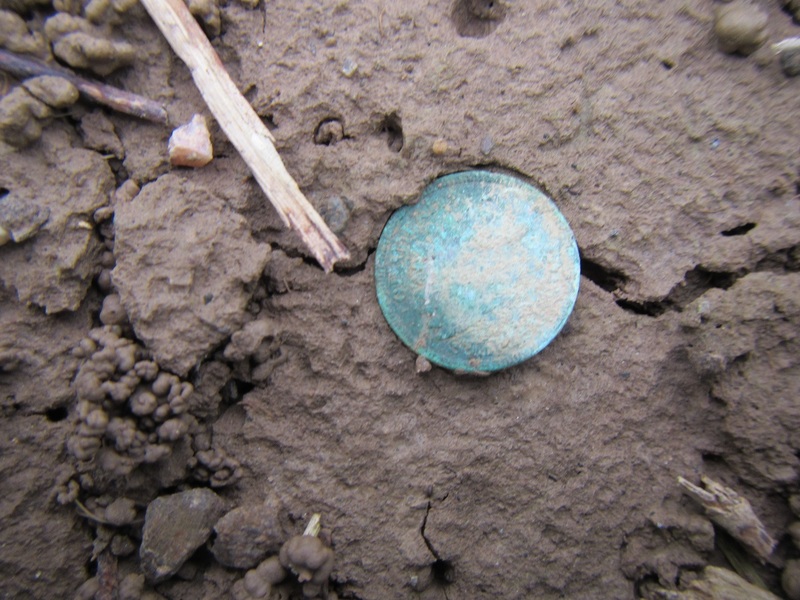 The reality of the finds at the 1860 house were mostly 1960’s clad coins. Yards seemed mystifying to me. I’m learning not to expect items and coin dates by the age of the house, but the times when there was a lot of activity there. 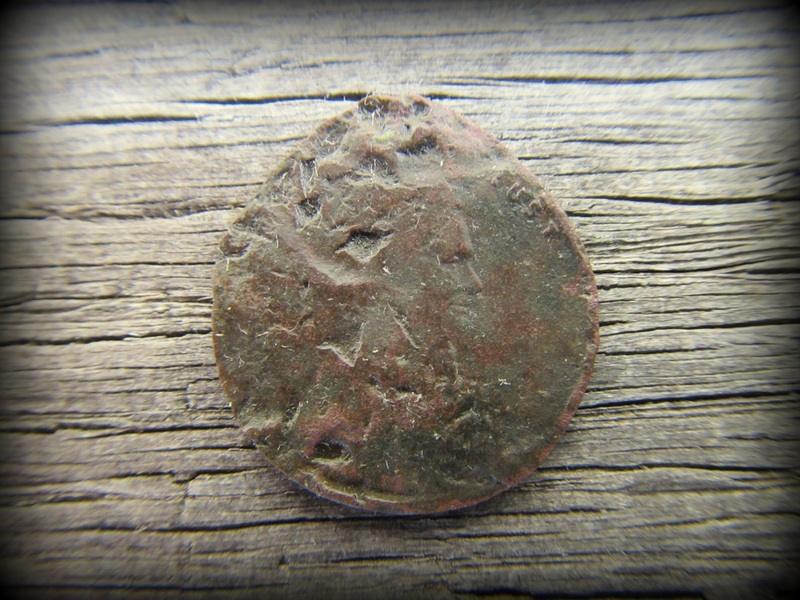 The oldest coin I found was a 1919 very crisp wheat penny with a beautiful green patina. 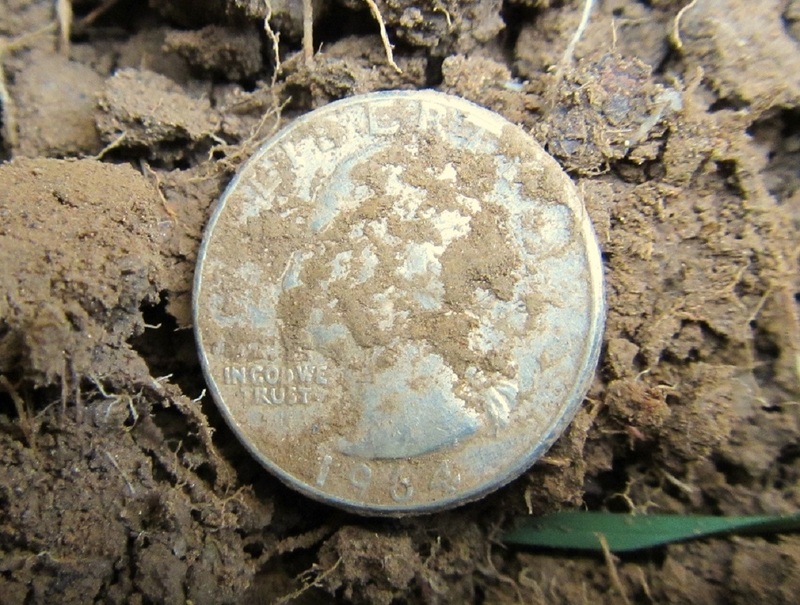 But the best find was a virtually mint 1964 silver quarter. The farmer had graduated high school that year, so I hoped it was a sentimental souvenir I left for him on his picnic table. Finding silver is such a treat. It comes out so clean despite years in the ground. I have a friend who renovates houses and whenever he’s working on an older one, he asks the owner if his history nut buddy can metal detect the yard. Haven’t had a no yet. 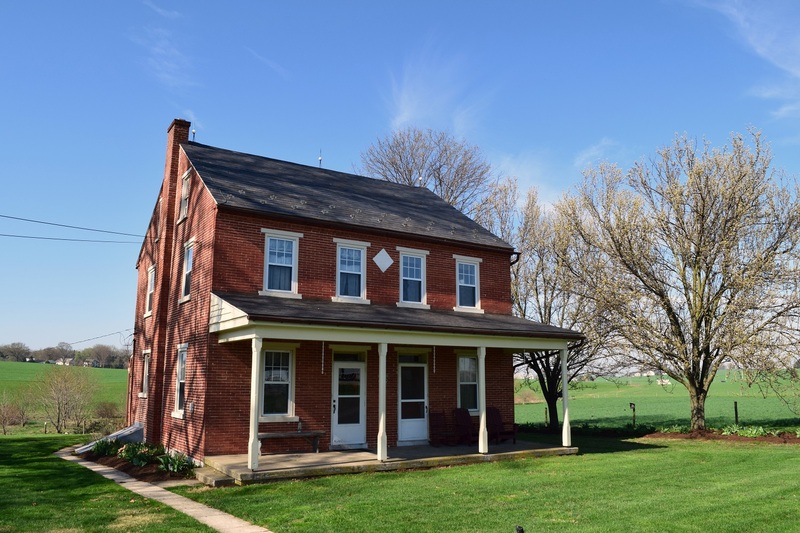 This particular house was right downtown in a small town just ten minutes north of me. There is no mountain in Mount Joy. The name stems from the old french term Mon Joie, which means midway, as it’s halfway between Philadelphia and Harrisburg. I detected the yard, which was so full of metal clutter and trash, I had to go very slow and read combinations of signals and numbers. A neighbor came over and told me that ‘they’ used to work on cars here. He was right, as I found many scraps and parts that seemed to indicate just that. But, aside from an 1918 wheat penny, what really proved his words true was a cast lead advertising paperweight in the form of a 1920’s car battery. I researched and found these to be prevalent in 1921-22. 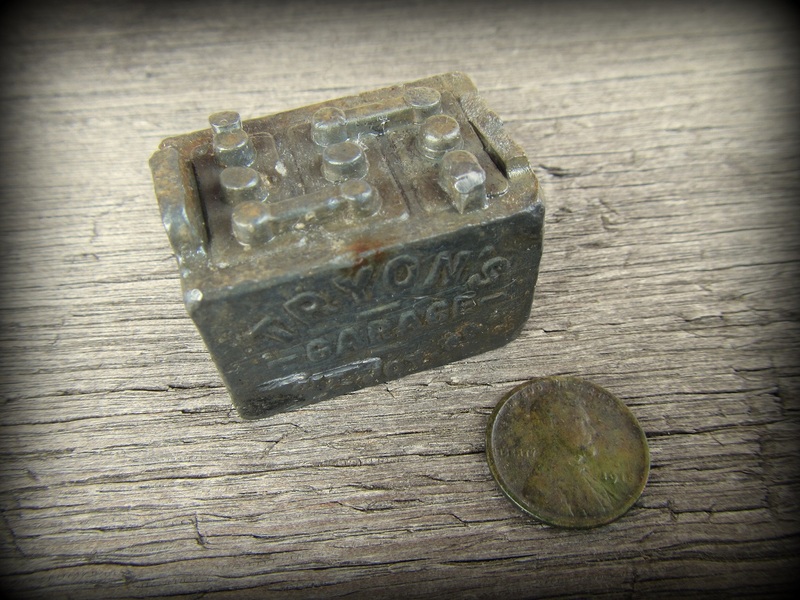 A cute, heavy little piece of history measuring 1-1/2″ x 1″ that was about 6″ deep. Tryon’s Garage Mt Joy, PA. 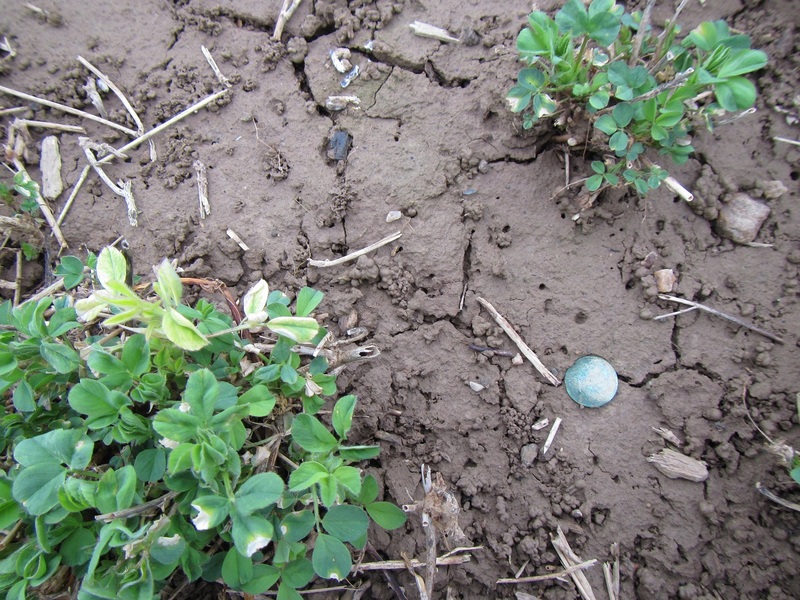 The 1918 wheat penny was not far from it and gives scale. 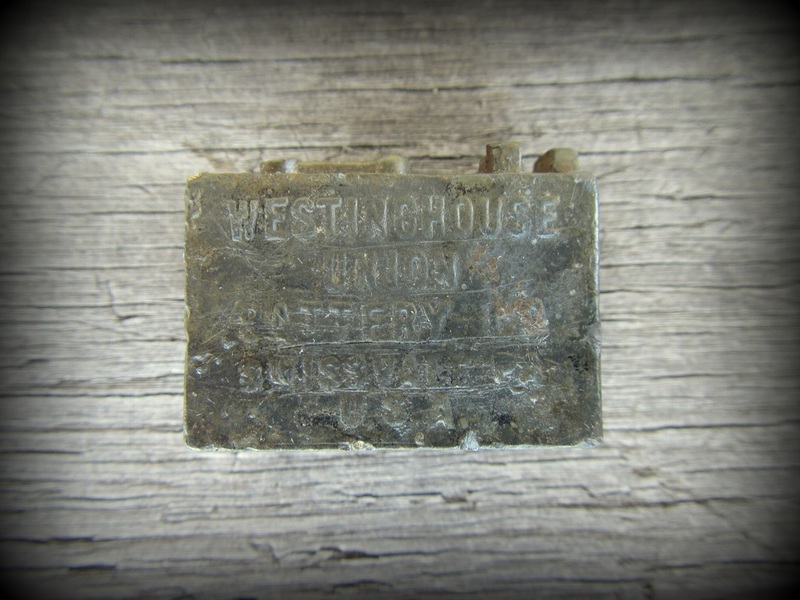 This was made by Westinghouse Union Battery Co. in Swissvale, Pa. Very cool souvenir. It was the dirt floor basement which proved interesting too. I found my first buffalo nickel at the base of the stairs. The rest of the tiny dirt floor had drops and dollops of once molten lead and scattered nails. 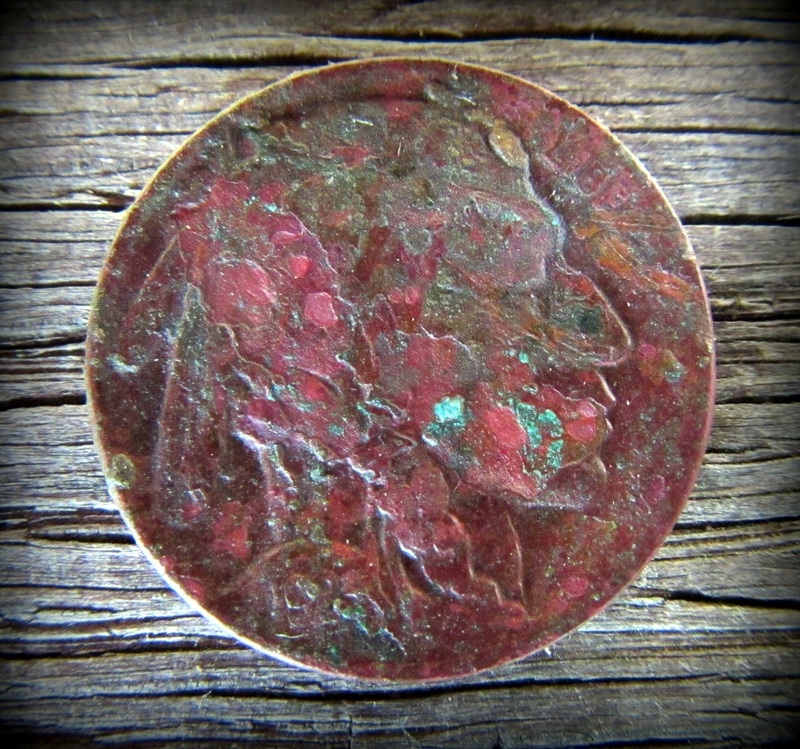 This 1923 buffalo nickel has a very beautiful ‘Indian red’ patina which is unique as nickels tend to be more brown with age. It’s like a an abstract painting. I wasn’t at war, but decided to take this hill anyway. My renovating friend was doing a house in Wrightsville just up the hill from the Susquehanna River. Having recieved the go ahead from the owner to detect the backyard, while doing so I met a gent two doors down who asked me if I was finding anything. Standing on his back deck, he told me he had not only detected the yard I was in, but the whole area some 15 years ago. 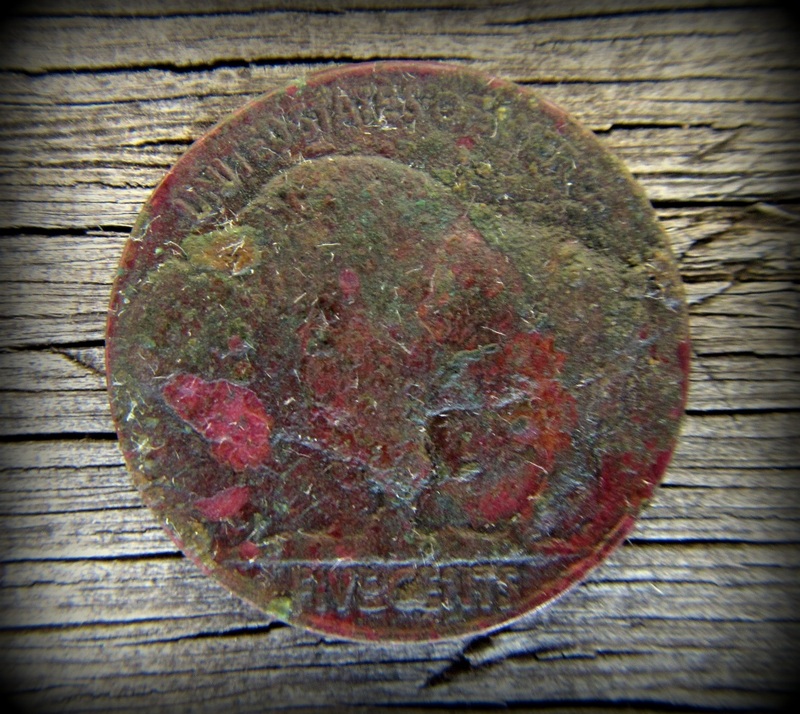 I had found two wheat pennies, a 1919 and a 1945 and smiled and told him he must have left them for me. The rest of the tiny yard revealed nothing but low iron trashy signals. I saw across the street where a 1903 church was and sure enough he had hit that too. 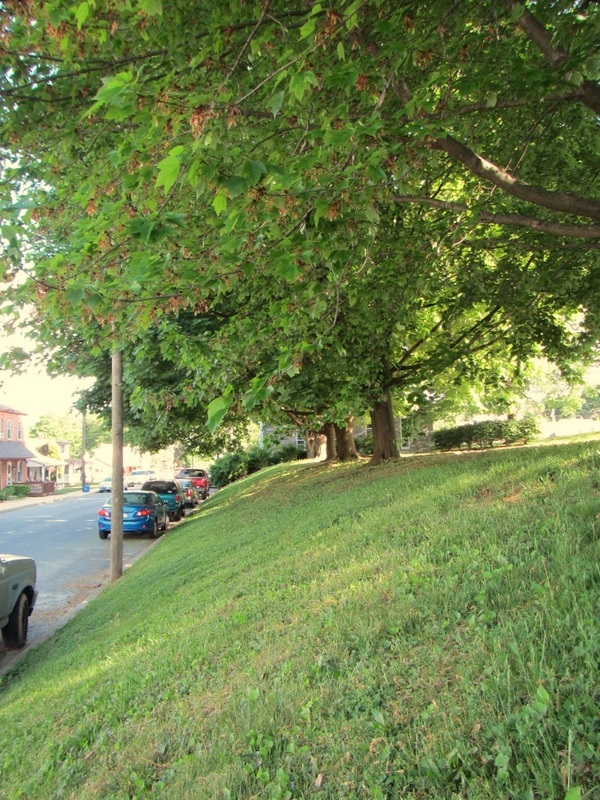 But what about that steep slope leading up to it from the street? I walked along it at quite the angle swinging away. 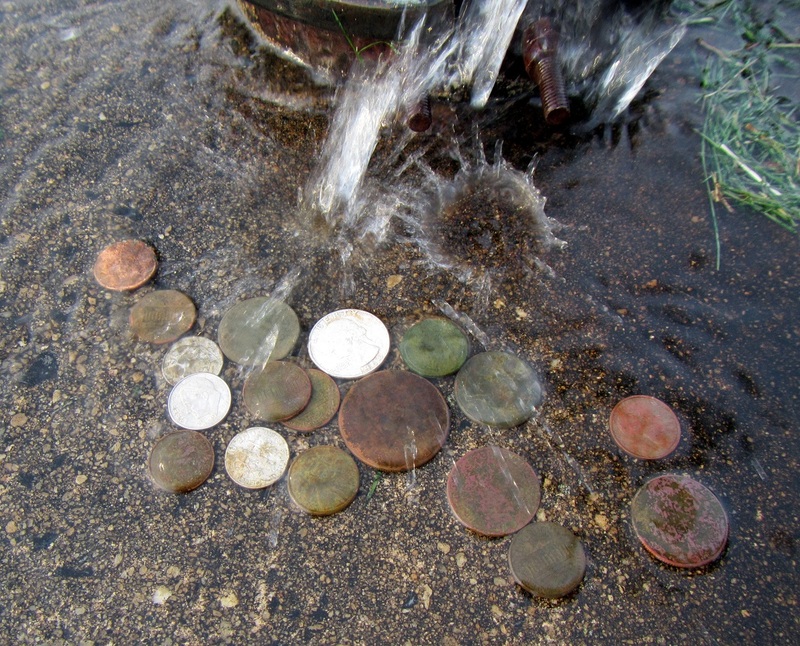 Right in the center where it was eroding, there were wheat pennies right on the surface, as well as clad coins. 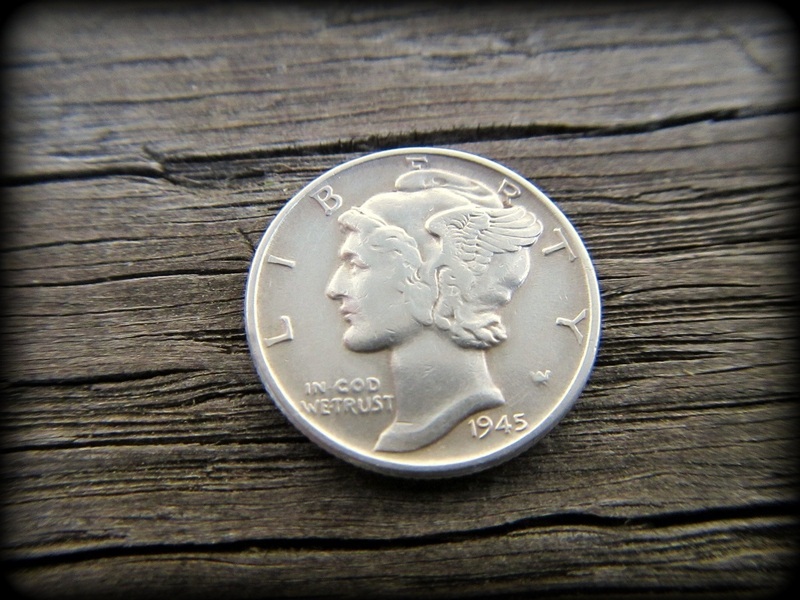 Then I got a very familiar high signal and sure enough there was a beautiful silver 1945 Mercury dime four inches down. Of course I was back the next day. Just an hour or two after work was a nice workout schedule. 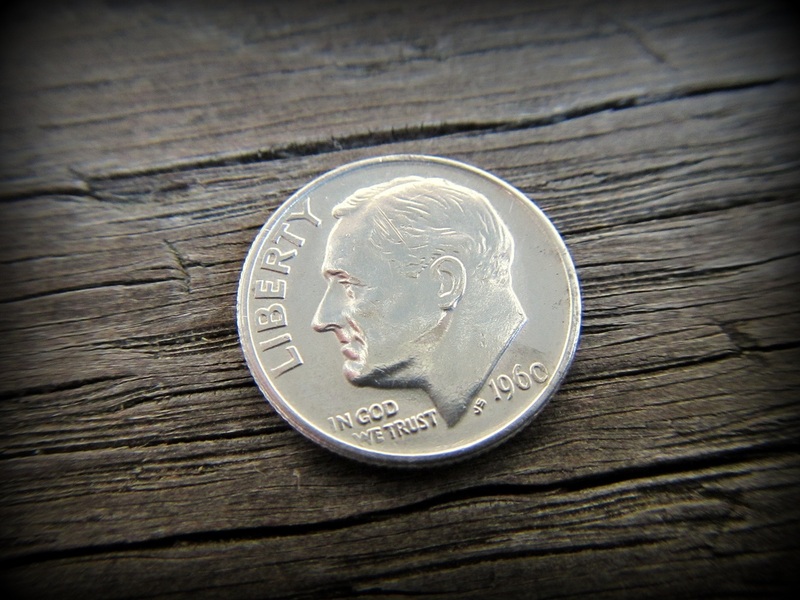 The very next day I found my first silver Roosevelt dime, dated 1960. Two silver coins in two days, well this seemed like a nice after work spot to search. 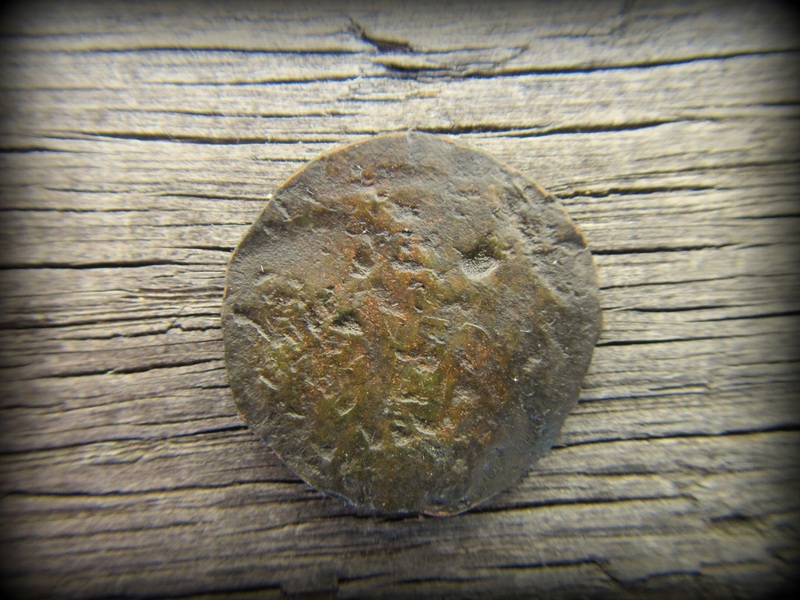 I also found amongst the many wheat pennies two that had been hammered. These were not set on a train rail to flatten, these were different. You can still make out Lincoln’s face in the above example, but the other is only identifiable by a couple of letters on the wheat side. Both dates are unknown. Likely kids having fun. Having spent three days detecting that hill, another neighbor took notice and we chatted. 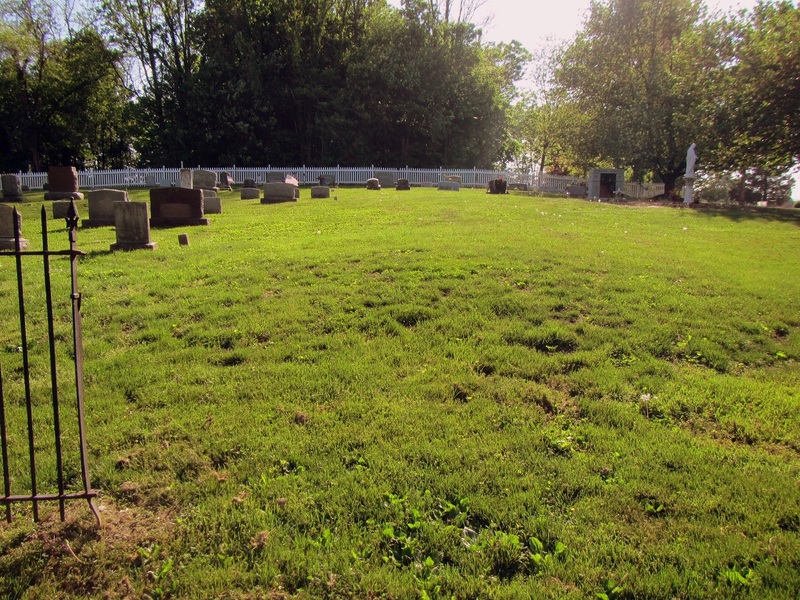 He told me during the Civil War there was a Confederate six pounder just up from where I was searching the hill, just across the parking lot in what’s now, (and has been) a cemetery since 1903. I don’t detect in cemeteries, it’s hallowed ground, but could I detect his yard? Sure, of course, and I could keep whatever I found. I asked what he liked and he said wheat pennies. 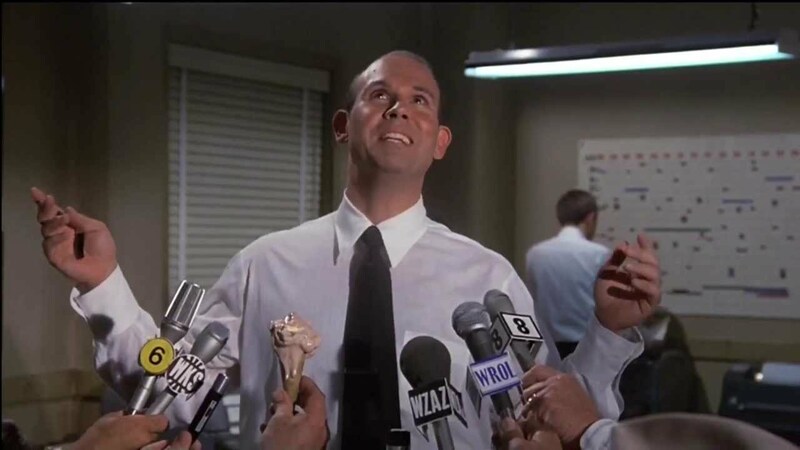 I said if there’s any there, you got ’em. 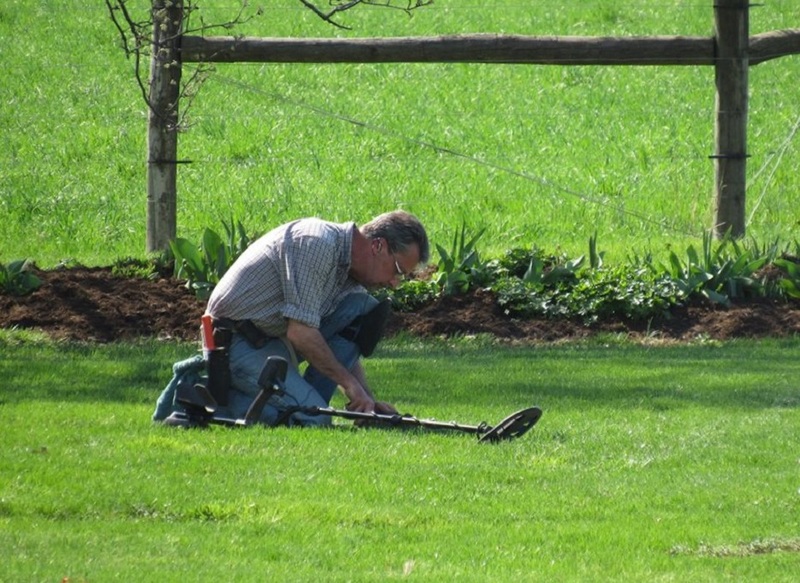 He went off to eat dinner and I detected his yard, sure enough, the first 3 signals I got were wheat pennies. I set them aside for him and then proceded to get a whopper of a signal, not a coin, but something big. Popping the plug, I saw a metal rod, no rust, it wasn’t iron trash. 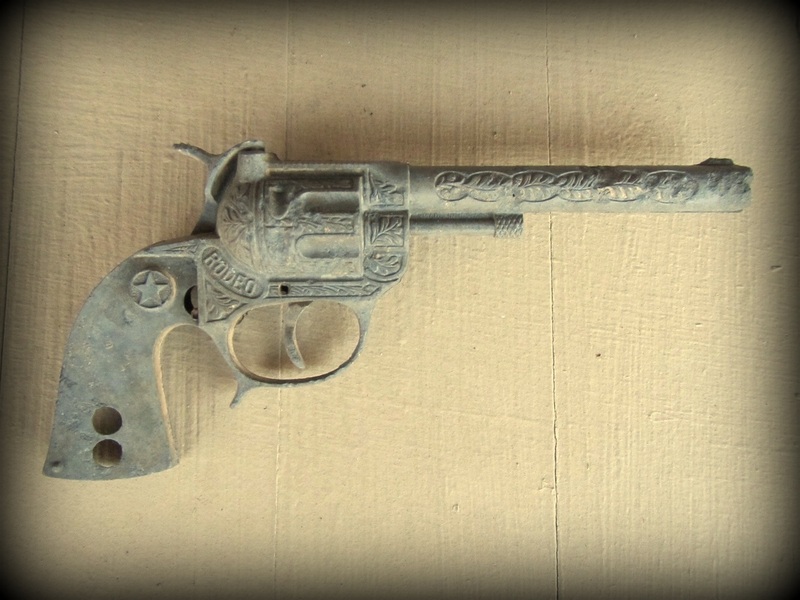 I wiggled it and pulled and out popped the coolest toy cap pistol. 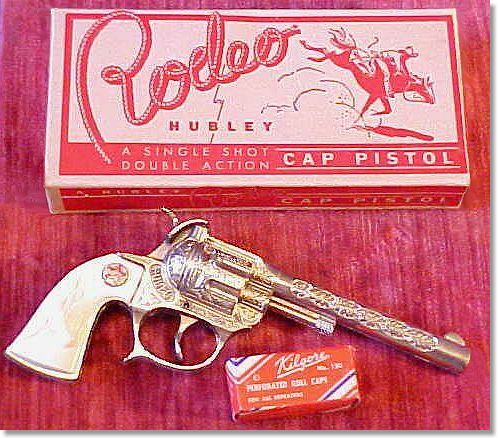 I instantly knew it predated the cap guns I played with in the 1970’s. I also saw it was a quality piece to hold up so well and not even rust. A little rinsing and brushing cleaned it up nice. Turns out it’s a Hubley, made in Lancaster, Pa. around 1955. The Rodeo model. After 60 years or so in the ground, it is still in very respectable shape and the moving parts still move. 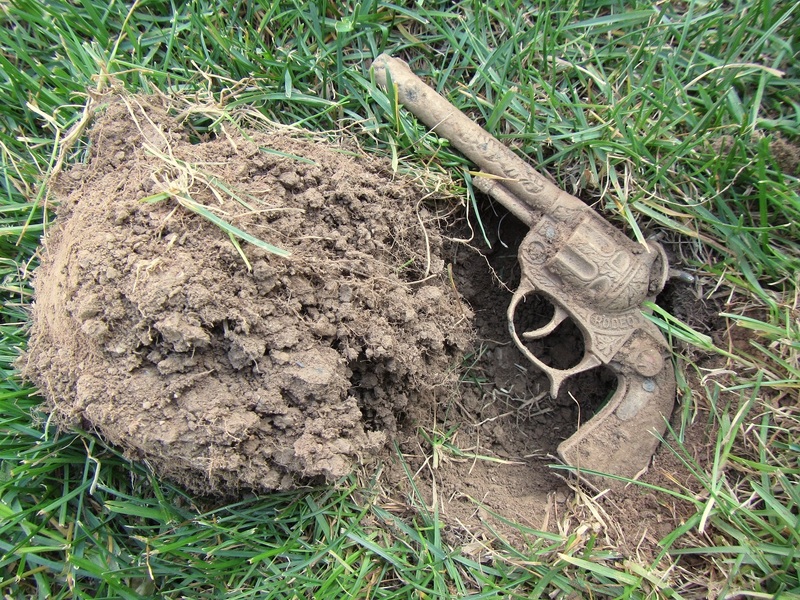 It’s quite a nice metal detecting find, as most toy guns are found broken and/or badly rusted. Below is what it looked like new from the box. There were other average finds in the yard, but my neighbor friend didn’t want them and was happy with the wheat pennies. We talked a bit more and I realized he’s quite the history buff. He showed me a sword his great-great grandfather acquired locally after the Confederate skirmish and the burning of the Wrightsville/Columbia bridge on June 28th 1863, just days before the battle at Gettysburg. 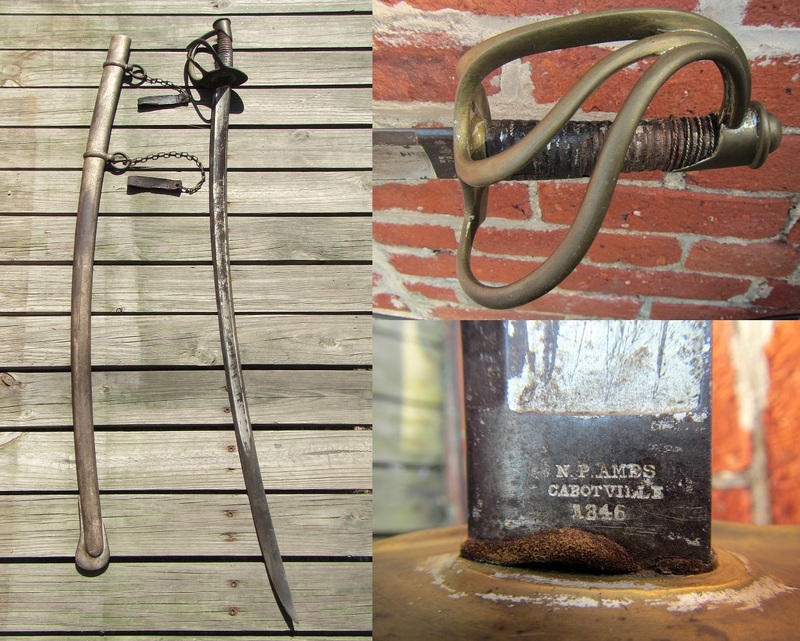 The sword is amazing, an 1846 “Wrist Breaker”, an officer’s sword made by N. P. Ames in Cabotville, Massachussetts. The blade is 36″ long. I’m not entirely sure if Confederate or Union used, but definitely period; not just for the Civil War, but the Mexican War as well. I told him about my website and that I had written an article two years ago about the locally famous burning bridge. (See It’s More Than a Mile To June 28th 1863.) He then told me again about the Confederate six pounder and pointed right to the mound where it stood on June 28th 1863. The mound is right up close, very center of photograph. My new history friend said he’d check out my website and I gave some thought to what Civil War artifacts might still be in the area. The cemetery itself was out of the question, but what about those woods behind it? I didn’t know it when I took this picture, but just a mere twenty feet into the dark patch of trees above, I would detect my most historic local find yet. 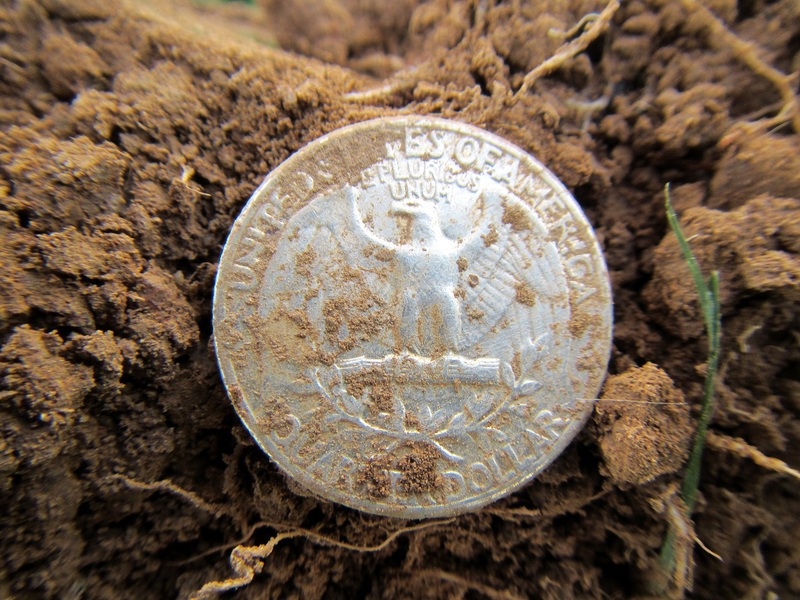 My after work jaunts metal detecting found me forgetting my camera. I wasn’t in the woods ten minutes when I got a nice solid signal that wasn’t a surface beer can. 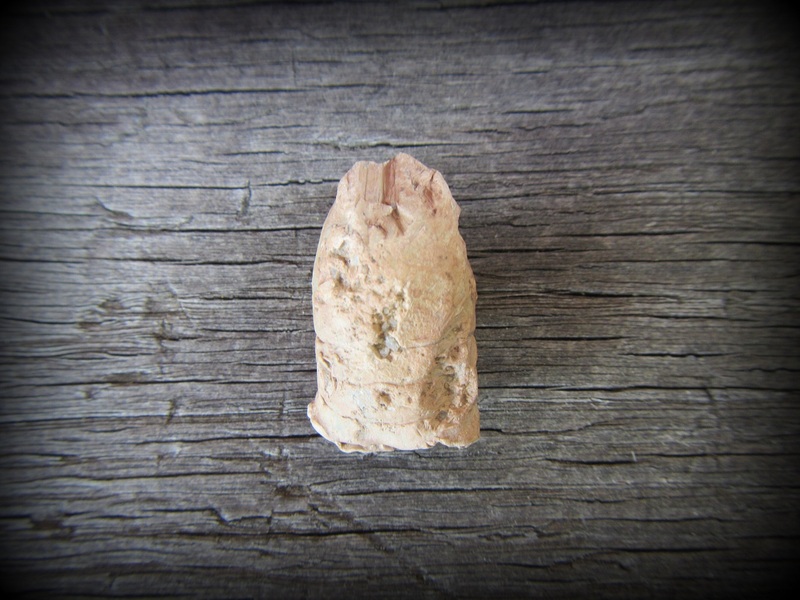 Seven inches down in the loamy soil was a 58 caliber three ring minie Civil War bullet that could have only been fired on June 28th 1863. One ounce of lead, but to me, historically, it may well have been made of gold. The advance of Confederate General John Brown Gordon’s brigades outnumbered the Pennsylvania 27th Militia commanded by Colonel Jacob Frick. Frick had formed a horseshoe defense around the area right where I was in, to keep the advancing Rebels from taking the Columbia/Wrightsville Bridge. Col. Frick’s Militia had no choice but to retreat back across the bridge to Columbia. There were shots and artillery fired, but there was only one Confederate wounded and a black civilian on the Union side killed. Colonel Frick ordered the bridge burned when the rigged explosives failed to bring it down. The Confederates, unable to cross the Susquehanna River, turned back for York the next morning and Gettysburg resulted just days later. Harper’s illustration of the burning of the Columbia/Wrightsville Bridge. This bullet struck many things before coming to rest. 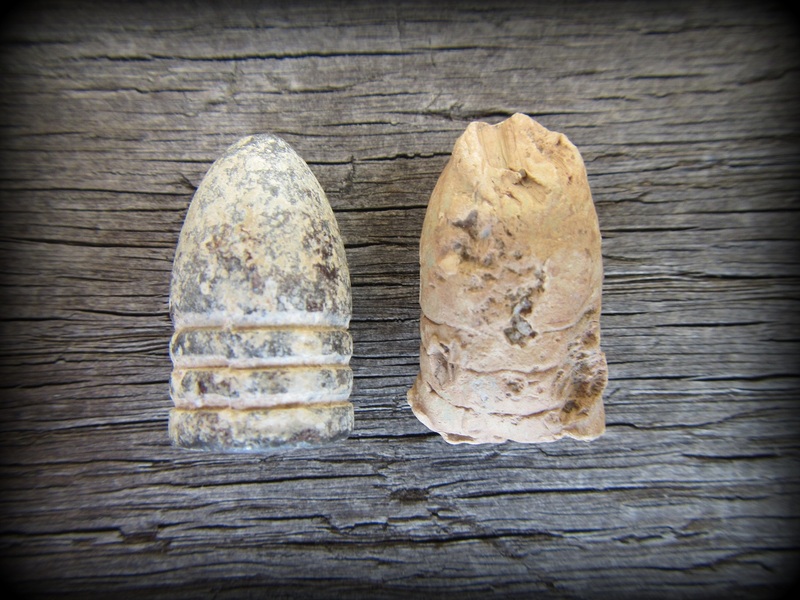 To get a better look at what it represents, below is a comparison of it with an unfired one from Gettysburg my father bought for me in 1975 at the gift shop there. The Grey and the Blue. 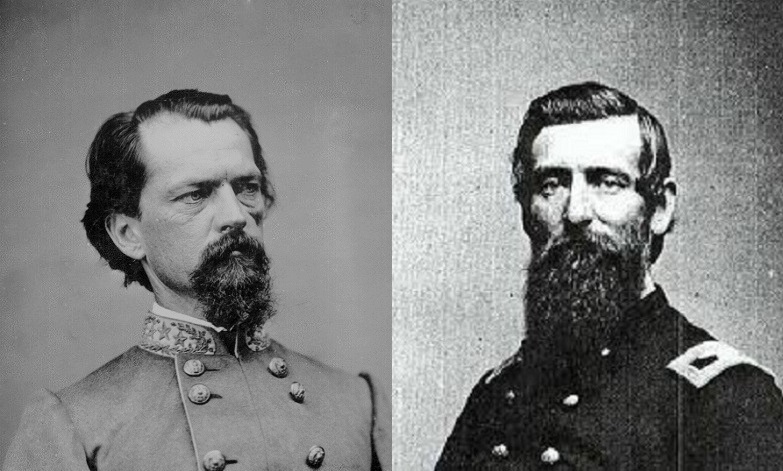 Confederate General John B. Gordon looks very fierce and determined in the photo, yet Colonel Jacob Frick of the 27th Pennsylvania Militia appears calm and serene. 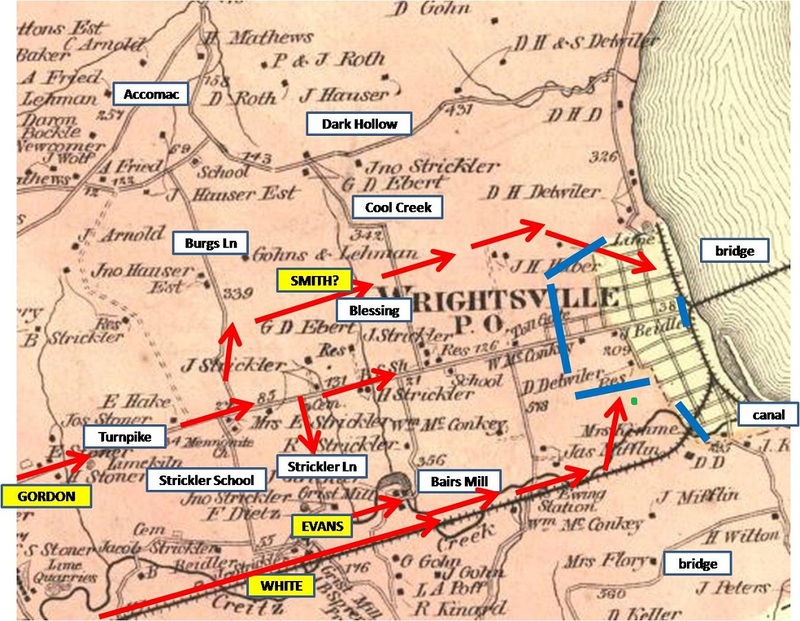 An 1876 map of Wrighsville showing the Union and Confederate positions before Frick’s Militia retreated back across the bridge to Columbia. I added a green dot indicating the approximate spot I found the bullet. (Lower right center) I don’t know which side fired it, but knowing the very day it was fired is remarkable. Of course I’ve been back and scoured those woods for any other indications of the skirmish at Wrightsville, but to no avail. Talk about right place, right time. I was very fortunate to hover a detector search coil over this amazing bullet. 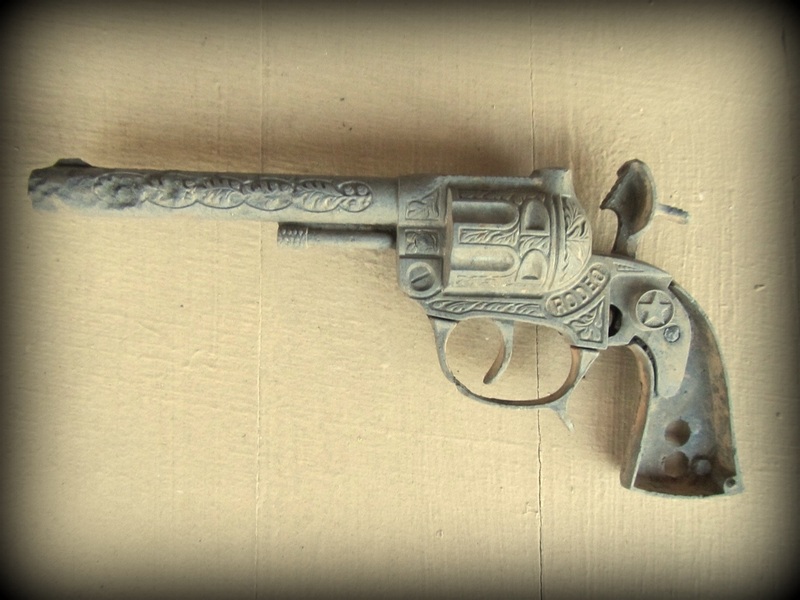 A 152 year old gunshot I still hear.